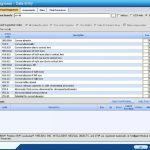 MaximEyes Electronic Health Records (EHR) software developed by First Insight Corporation, is a cloud-based and server-based Electronic Medical Records software (EMR), Revenue Cycle Management (RCM) and Practice Management (PM) service, provider. The specialty specific EHR is designed for Optometric and Ophthalmology medical practices. 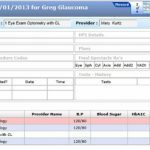 MaximEyes EHR software is first to integrate with the American Optometric Association’s MORE Registry and offers direct EHR PQRS reporting to CMS and the American Academy of Ophthalmology’s IRIS Registry. 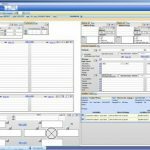 MaximEyes EHR software has many prominent features including Electronic Medical Records (EMR), inbuilt customizable templates, Equipment Integration, Image Management, and e-Prescribing. 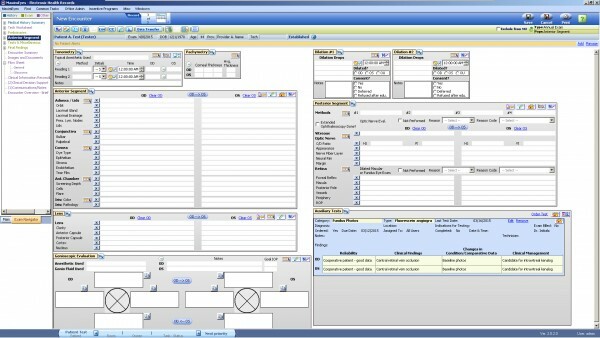 The EHR can be used as a standalone system since it can be integrated with any optometry or ophthalmology EHR system. 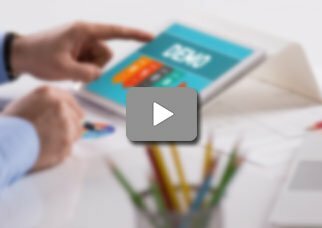 MaximEyes Practice Management (PM) software offers a very robust system with powerful reporting and query tools that delivers immediate visibility into operations, costs, and revenues. The fully integrated PM system customizes the workflow according to the practice’s needs along with automated software updates. The program offers personalized medical billing services to decrease the accounts receivable timeline. MaximEyes Patient Portal services are also available with the cloud-based EHR software package through which patients can have secure communication with their Health Care Providers, moreover, they can view their medical summary, request for future appointments and can pay their bills using Billing service from anywhere and anytime. This health IT software is ONC-ATCB for Incentive program and Quality reporting, including Meaningful Use, Clinical Quality Measures (CQMs) and Merit-Based Incentive Payment System (MIPS). MaximEyes Electronic Medical Records (EMR) software is the Health Insurance Portability and Accountability Act (HIPAA) compliant which ensures data privacy and security provisions for safeguarding medical information. MaximEyes EMR software provides greater mobility, and accessibility to the practitioners on the go as it is compatible with both Android and iOS mobile and handheld devices. MaximEyes can be used by practices of all sizes and can be used for multi-location practices. Pros: The doctors&comma; technicians&comma; and staff don't have any issues getting around in it Regular updates to stay in compliance. Cons: The practice management and optical side leave something to be desired. Verdict: The practice management and optical side leave something to be desired support staff is very helpful and professional.